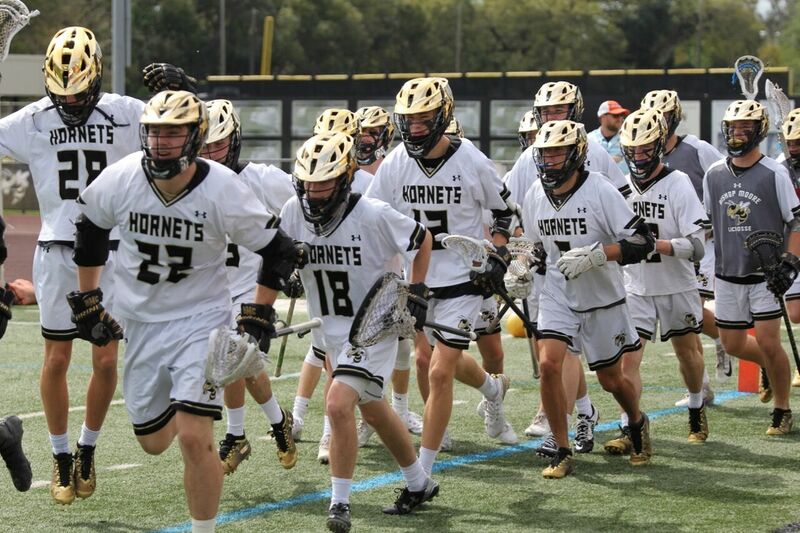 The Bishop Moore Hornets men’s lacrosse team (5-3, 3-0) returned to form this week – sweeping opponents Olympia, Dr. Phillips and The Benjamin School (North Palm Beach). 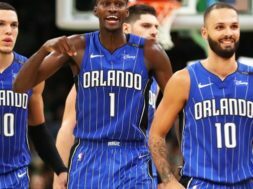 The Hornets did so in dominant fashion – playing fast, fun and physical, something that was seemingly missing just one week ago. The Hornets hung a season high 20 goals on the Olympia Titans, in a 20-4 final on Tuesday night. Junior midfielder, Alex McGratty, led the way with his first hat-trick of the season and also added an assist. Junior attackman, Brooks Rask, added two goals and a season-high three assists in another contest that was dominated by underclassmen. The team’s lone sophomore, midfielder, Hunter Crowe, add two goals as 13 different members of the team contributed to the scoring. It was obvious to the naked eye that the team simply seemed more focused and disciplined than at any other point this season. Players played with a real sense of purpose and pride – something head coach, Reed Reynolds, wanted no credit for. “Some of that is player driven, (the focus) is not even something that we’ve mentioned. Hopefully the past couple of games weren’t what we expected outcome-wise and hopefully that’s sparked them to take a little more ownership, a little bit more pride.” Reynolds said following the game. That pride and purpose traveled well too – as the Hornets played their second pair of back-to-back games in a one-week span on Wednesday at Dr. Phillips. The aggressive game plan paved the way for 21 of 29 first half shots to be ‘on-goal’ and giving the Hornets a 13-1 halftime lead. The intensity on the defensive side was steady throughout the night, as the Hornets surrendered just three goals on a total of eight shots to the Panthers. The Hornets got goals from eight different players and were led once again by senior attackman and University of Utah signee, Jake Kiefer. Kiefer’s three goals gave him his fourth game of three or more goals this season. The Hornets hit the road Friday evening for a matchup at The Benjamin School located in Palm Beach. 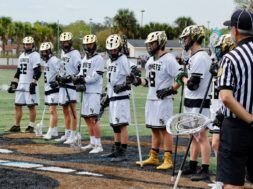 The 11-3 final score made for a pleasant trip home for the Hornets, who handed the previously unbeaten Buccaneers their first loss of the season. Once again, the Hornets were led by the junior pairing of Rask and McKeever – who combined for six of the teams 11 goals. Rask (12) and McKeever (11) are now #2 and #3 respectively on the team in goals scored this season. They trail team-leading scorer, Jake Kiefer (24), who added two more to his total on Friday night. Rask also added another assist and is now the only player on the team with an assist in every game. His season total of 10 is just one more than senior midfielder and Wingate signee, Brett Heneghen. Ahead for the Hornets this week is another Conference game on the road at Freedom High School on Wednesday, before returning home the next evening to host The Bolles School. The Hornets remain unbeaten in Conference play (3-0) with just three such games remaining on the schedule. Bishop Moore will host the District Tournament in just over one month. 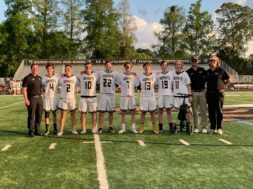 Central Florida Lifestyle Sports will be following Bishop Moore lacrosse all throughout the 2019 season. 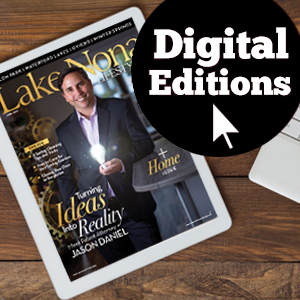 If you have a story or would like in-depth coverage of your Central Florida high school sporting event, please contact Nick Moore at nick@karstmediagroup.com.